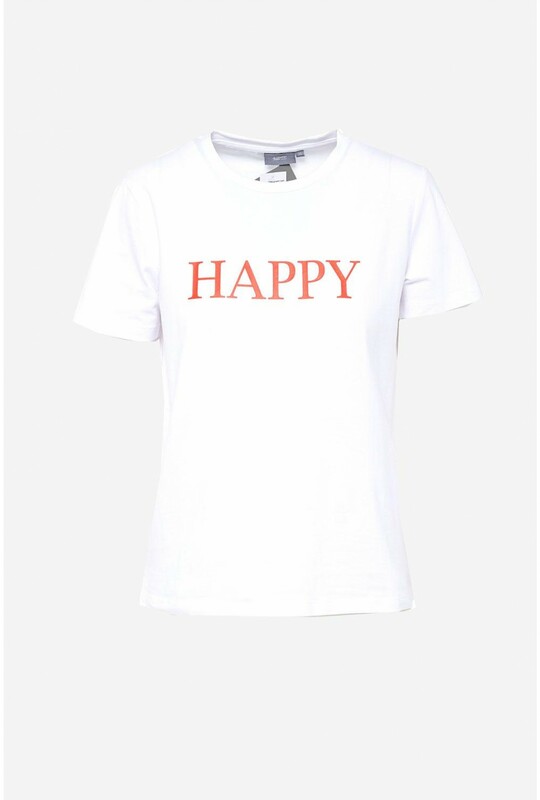 Add a playful addition to your wardrobe with this 'Happy' slogan t-shirt in white. In a super soft cotton fabric , team with an over-sized blazer and your favourite denims for a smart casual look. 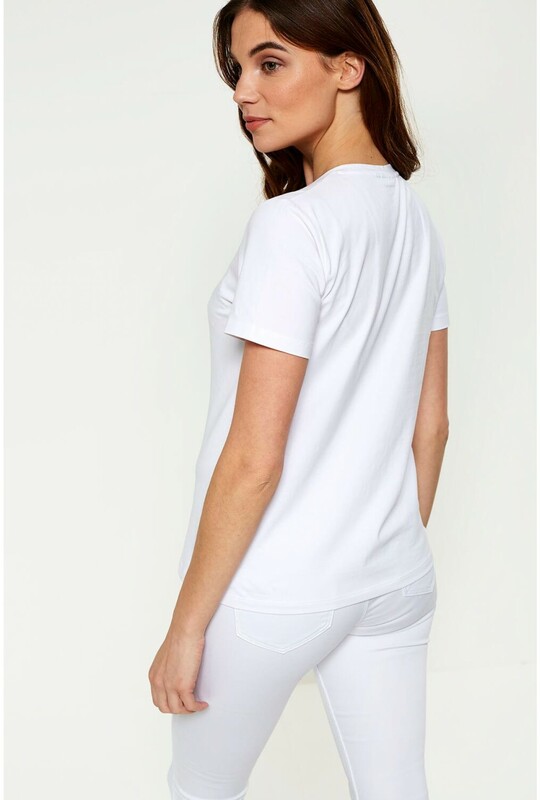 Graphic tees are going no where for Spring/Summer, an easy option to dress up a blazer, browse our selection of t-shirts.